Rainbow Protein Smoothie with Video - Recipe! Dairy-Free! - Live. Love. Laugh. Food. Rainbow Protein Smoothie with Video – Recipe! Dairy-Free! I love a good smoothie, especially if it has a scoop of protein to satisfy my hunger after a good run or workout. 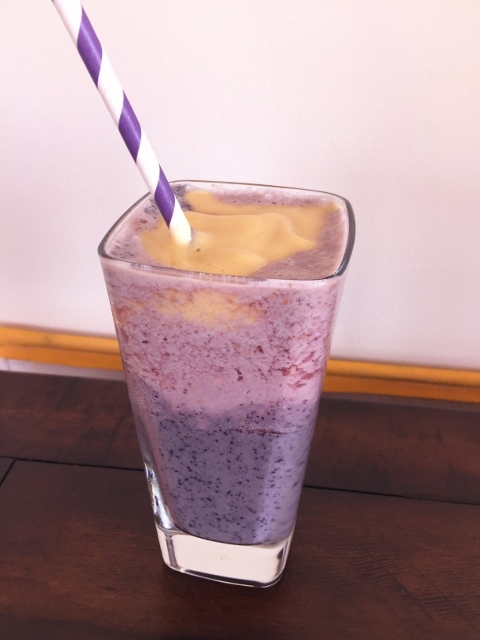 Sometimes drinking an entire glass of the same flavor gets a little boring, so I thought I would create a layered morning treat with this super tasty Rainbow Protein Smoothie. The blueberries, raspberries and mangoes really enhance the refreshing quality of this drink. The quick video shows you how easy this recipe is to make, so get blending. Enjoy! 1. Add scoop of vanilla protein powder, almond milk and ice to a blender, puree. Pour into a large glass, reserving 1/3 of mixture in blender. 2. Add a handful of frozen blueberries and puree again (you can thin with more almond milk if needed). Pour blueberry smoothie into 2 glasses. 3. Add 1/3 of vanilla protein smoothie in blender with a handful of frozen raspberries, puree ( thin with more almond milk if needed). Pour on top of blueberry smoothie. 4. Add the last 1/3 of vanilla protein smoothie into blender with a handful of frozen mangoes, puree. Pour on top of raspberry smoothie. 5. Place straws in smoothies, Enjoy! *if you like your smoothies a bit sweeter add 1/2 teaspoon of maple syrup with the frozen fruit! Best Fruit Smoothiescooking with Gena BellProtein Smoothie RecipeRainbow Smoothie RecipeRainbow Smoothies with Video - Recipe! Dairy-Free! 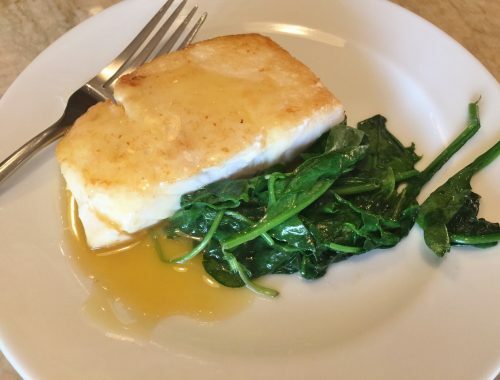 Halibut with Citrus Sauce – Recipe! 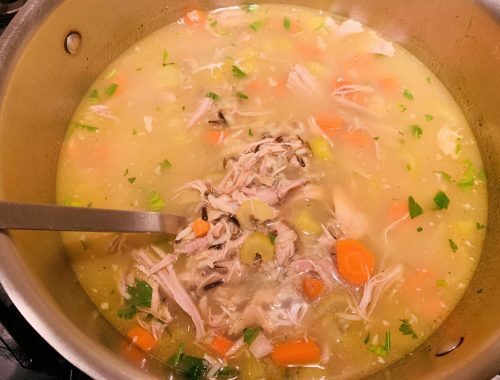 Turkey & Wild Rice Soup – Recipe! 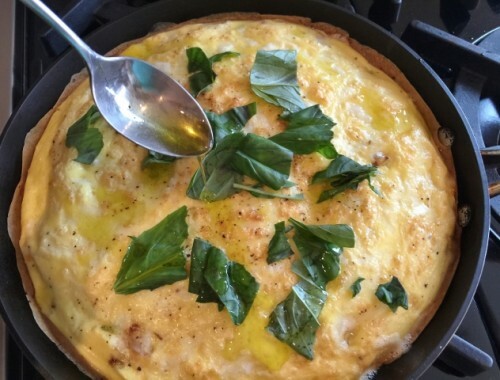 Truffle & Caramelized Leek Frittata – Recipe! Low-Carb Brunch!